John's practice focuses on creating and defending market monopolies by organizing and leveraging intellectual property assets. 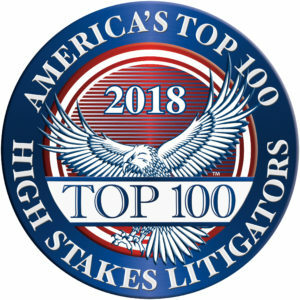 Litigation emphasis includes patent infringement, patent appeals and post grant reviews, internet defamation removal and takedown, trade secret theft, cyber extortion,and other business and commercial torts. Representation includes a wide range of highly technical fields, including cybersecurity, semiconductors, communications, computer, software, social networking, wireless, bio- and eco-engineering. Representative clients have included: 3Com, A10 Networks, Analogix, Apple Computer, Ariat, Atmel, Autodesk, Bank of America, Broadcom, Cadence, Canon, Catepillar, Charles Schwab, Cirrus Logic, Cisco Systems, CSX, Dreamworks, Epson, Facebook, FireEye, Fonality, Fujitsu, Hewlitt Packard, Hitachi, Icon Aircraft, IDEO, Intuit, KLA-Tencor, Knowles, Kodak, Lam Research, Lockheed, LSI Logic, Lucent, Marvell Technology, Mitsumi, Netgear, Olivetti, Oracle, PeopleSoft, Polycom, Philips, Plantronics, Princess Cruise Lines, Proofpoint, Rambus, Raytheon, Ricoh, Rohm Semiconductor, Ruckus Wireless, SDL, Seagate, Sega, Seiko Systems, Silver Peak, Sonos, Sony, Sun Microsystems, Sutter Health, Swagelock, Synnex, Technogym, The Ferrero Group, Trend Micro, Urban Outfitters, VIA Technologies, vArmour, Veritas, VMware, Wells Fargo, Western Digital, and Xilinx. Information Week - "Federal Court to Reconsider Software Patent Issue"
linuxpipeline.com - "SCO Raises New Funding -- And Experts Raise Questions"
eWeek - "If Legal Questions Killed an Oracle-JBoss Deal, Why Not Red Hat-JBoss?" SFGate.com - "Apple, Microsoft Duel Over iPod Patent"
SFGate.com - "Mind Your Business: Dream of opening cafe or wine bar could turn into nightmare"
adtmag.com - "When Corporate Lawyers Attack"
itcinstitute.com - "Intellectual Property: Risk or Red Herring?" microsoft-watch.com - "Microsoft Advocates for Patent Reform"
Enterprise Strategies - "Careers: How "Inevitable Misappropriation" May Limit Job Mobility"
CNET News.com - "Judge slams SCO's lack of evidence against IBM"
Monopoly Protection: The 90-Minute Guide to Patents, Trademarks, Copyrights and Trade Secrets is ideal for any professional with an entrepreneurial spirit. The ultimate resource to discover, understand, and file provisional patent applications.